I’m a sucker for Earl Grey tea, it’s one of my favourites and I love it. 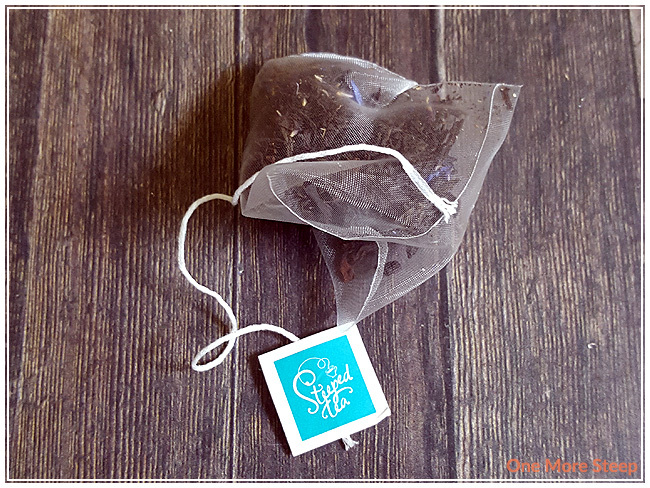 Steeped Tea’s version has very few ingredients – black tea, cornflower petals, and natural flavours. I get the slightest hint of citrus when I first smelled the tea. This may be due to the fact that it is allergy season and I’ve been having the sniffles lately. 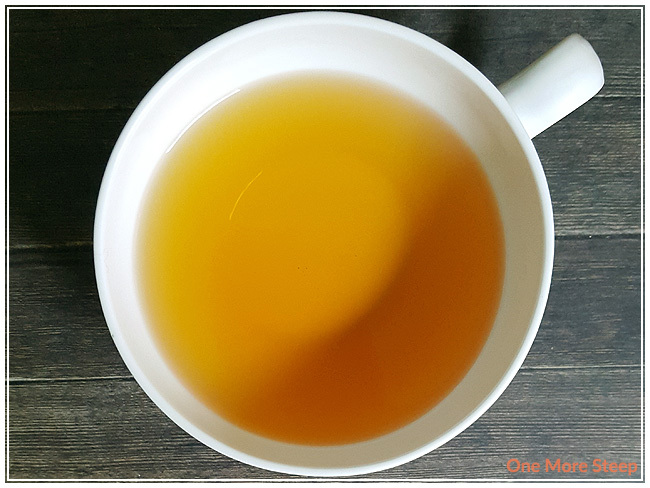 But overall, it smells like Earl Grey – a hint of citrus, a hint of vanilla, the black tea base does come through, which is promising! The instruction that came with my sample state “steep 2-3 minutes in boiling water” – I couldn’t find steeping directions via the Steeped Tea website. I steeped my sample tea bag for about 3 minutes. The result is a deep mahogany that is clear. This Earl Grey de la Crème smells decent, I don’t really get a lot of citrus from it at all though, which I feel like I should. The taste has a bit of astringency to it, definitely has a pucker feel to it. It has a touch of creaminess to the tea even without added milk or cream, but the vanilla isn’t as strong as I like. It’s a pleasant cup of Earl Grey, but the lack of strength behind the bergamot is a bit disappointing. I attempted to resteep my Earl Grey de la Crème teabag and wound up with a weak cup of black tea with little to no bergamot taste to it at all. I would say that Earl Grey de la Crème is good for only one steep. I thought that Steeped Tea’s Earl Grey de la Crème was just okay. I’ve had really good cups of Earl Grey before, and really good cups of Cream of Earl Grey. This is not one of them. If you hadn’t tried an Earl Grey with a stronger amount of bergamot flavouring, you might like this one. I think it could be improved upon with some sweetener, maybe some cream, but I think the lack of citrus is disappointing. It’s not a terrible tea, but it isn’t the best I’ve had and it’s certainly not something that I would want to keep a stash of at home.